WeDo SL Events: Black Fashion Fair is COMING! 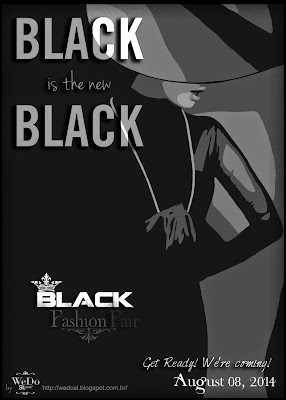 Black Fashion Fair is COMING! I'm very excited for Black Fashion Fair and you? All Designers are already chosen, soon we will post the list on our blog. And I can assure you, we have wonderful designers working to make our amazing fair! All spaces are fulfilled, but we continue to receive apps, I would like to warn that all are included in the waiting list for now. Unfortunately we can not put all because we have a limited number of designers that fit into an island, if any designer quit we will contact you. Bloggers can keep sending apps. If you are chosen, we will send a notecard.